How We Built Our Website - More Traffic. More Leads. More Business. Our website was built on mGrid, our marketing automation platform based on WordPress. Here is a list of the strategies and tactics we used to design and develop our website as a marketing engine. Our primary services are marketing, web design, SEO and training. We designed our user flow to have very useful content for each step in our marketing funnel for each one of our primary services. Along with our 3-part sales funnel, we created a sitemap and pagemaps based on our keyword and competitor research. Our overall marketing strategy is to create and share great content to attract new clients to our SEO, website and marketing services. Each page or post has a sidebar with a "Call to Action" for that page and a "Subscribe" form. We have a weekly newsletter we send out with our newest tips and tricks for SEO, WordPress and Marketing. We create new content about SEO, WordPress, marketing and marketing automation. We also track trending topics to keep our readers informed on new developments. We use Google Trends to look for trending topics. Depending on your niche, you can use several free and premium services to keep on top of your industry news. After we create a new piece of content, usually a blog post, the new content is automatically re-shared on Facebook, Twitter and LinkedIn. Our local search marketing strategy is to list our address with Google My Business and then add our NAP (name, address, phone) to all the local directories that are relevant to our service areas. The primary purpose of our website is to provide useful and "actionable" information on SEO, WordPress, Marketing and Marketing Automation. We chose a blog format based on our 3-step marketing funnel. We built our website on our marketing automation platform, mGrid, which has 56 free and premium plugins pre-installed. We built our website on our marketing automation platform, mGrid, which has 78 free and premium themes pre-installed. We choose the Hemingway WordPress theme by Anders Noren and created a child theme to customize our website. There are many 3-party applications and software that we use to automate our marketing. 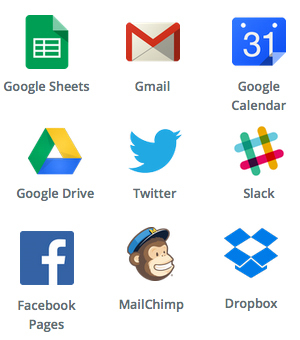 Two of our favorites are Zapier and IFTTT. Both Zapier and IFTTT connect different applications and let them work together. We use Google Analytics, Google Search Console, and custom URL and event tracking to monitor and revise our marketing efforts. mGrid is our marketing automation platform. We have pre-installed over 75 free and premium themes, and over 50 free and premium plugins. We are continually creating "GridMaps" to automate your marketing. For example, we use Zapier to post our new email campaign to our WordPress site automatically. Page Builder lets you to create, edit, and customize your website layout without writing any code. Page Builder works with any standard compliant WordPress theme and is easy to use. This page was built with Page Builder. Page Builder is very useful when you want a custom design for your page and still keep your page responsive. Most of the pages on the website use the existing page templates and we used Page Builder for pages that needed more complex layout. Custom Sidebars lets you have custom sidebars on pages, posts, archives, homepage and search results. We create custom sidebars for each group of focus keywords. This lets us have unique Calls to Action "CTA" that increases visitor engagement and user experience. Create and add your own custom "Calls to Action" (CTA) or use a library of custom CTA designs included with the plugin. Track conversion rates on your CTA's. Easily duplicate your existing CTA's and run A/B split tests on variations. Visitors will land on each page of your website and they might be just looking, set to engage or buy. We add CTA's (Calls to Action) to engage our visitors and provide the next step in our sales path. Jetpack has 27 different functions including custom sidebars, sharing, speed up images, monitor your website's downtime, contact forms, custom CSS and a lot more. Jetpack is by Automattic, the parent company of WordPress. Jetpack has a lot of great features but we use "Publicize," "Security," "Post by Email," "Related Posts," and "Vaultpress," a premium backup plugin. Manage leads and contacts, know lead that comes to your site. We are testing the difference between Leads and Leadin. Leads is developed by Inbound now and integrates with Landing Pages and Calls to Action. Leadin has excellent, in-depth analytics so we going to be comparing the two for the next couple of months. If you'd like a copy of our results add your email and we'll send you our detailed report. Leadin will track each anonymous visitor to your site and monitor each existing form on your site for submissions. Once a visitor fills out any other form on your site, Leadin will identify that person by their email address and add them to your contact list. Leadin shows you your visitors actual paths to your contact forms as opposed to the paths you created. Most of the pages on the website use the existing page templates and we used Page Builder for more pages that needed more complex layout. Google Analytics by Yoast makes it easy to add Google Analytics to your WordPress website. You can track your WordPress website easily with the latest tracking codes and lots added data for search result pages and error pages. The Editorial Calendar lets you organize your posts, and drag and drop them to manage your blogging calendar. You can also start a blog post, edit, quick edit, delete or view. Editorial Calendar let's us schedule and manage our blog posts. MaxButtons creates beautiful buttons and social share icons that can be used on any post or page on your site. We use Max Buttons on our Calls to Action. This let's us change the content on our buttons without changing our Calls to Action. We have designed our website to be very flexible and easy to revise and upgrade. Yoast SEO has several built-in features such as content analysis, page analysis, technical WordPress SEO, meta & link elements, XML sitemaps, RSS optimization, breadcrumbs, .htaccess and robots.txt files editing, social integration, multi-site compatible, import & export functionality, import functionality for other WordPress SEO plugins. 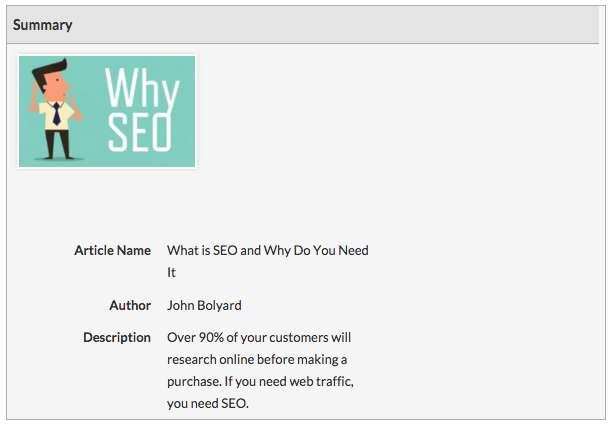 Yoast is, by far, the best SEO plugin available for WordPress. Yoast has prompts which guide you through your page optimization. Yoast cover the basics of onpage optimization including titles, metas, focus keyword and Google snippets. Yoast's Advanced Page Analysis calculates 12 different metrics for your page with instructions as to how to improve each metric. Here's what Google says, "rich snippets are designed to summarize the content of a page in a way that makes it even easier for users to understand what the page is about in our search results." Rich snippets are additional information provided to the search engines to include in the search "snippet". You can add rich snippets to images, reviews, people, videos and more. Adding this information isn't a guarantee that it will appear in the search snippet but it's good to have it available for Google to include. Rich snippets increase the click-thru rate in Google's search results and this increases our search traffic. Fonticons has free and premium icon sets and you can upload your own custom icons. You can add these icons to your website as a font. Fonticons are web icons that you use like a typeface. This is really handy, you can use an icon in your content and it will flow with the content. "Zapier gives you internet superpowers by connecting the web-apps you already use to do cool and useful new things. Supports hundreds of apps." A quote from Quora and I could not have said it better. Zapier connects 3rd party software and apps to let you automate marketing processes. Here are just a few of the apps/software that you can connect. We use Zapier to connect contact forms to our MailChimp subscriber lists. We built our website as a marketing engine. We built our site on mGrid, our marketing automation platform built on WordPress.